Err, well, since I have singularly failed to update poor old Good Hooking for quite some time, I thought I should just consolidate my personal blogging empire into ONE unkempt blog, rather than scattering them all about the internet like pizza menus. As those of you who follow my Good Hooking exploits will know (hi Will! Still not entirely sure what you doing on there, but you knock yourself out), I have been promising to update with a full inventory of all the self-crafted items I have lovingly produced over the past… however long it is, but I have yet to make good on that promise. Well, today I plan to change all that! 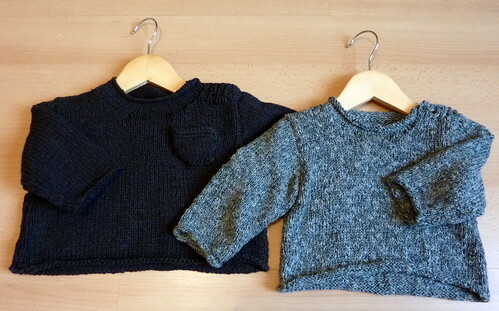 Here, for your viewing pleasure, I can exclusively reveal my a/w 2010-2012 collection. 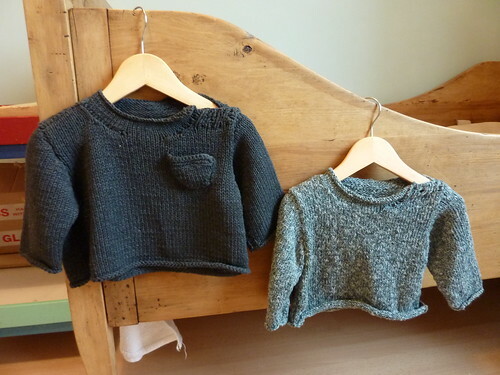 I love this jumper. It looks a bit wobbly now from washing (some of the bamboo shrivelled and went wirey even though it’s machine washable. The cheek!) but it has to be the best thing I’ve ever made. 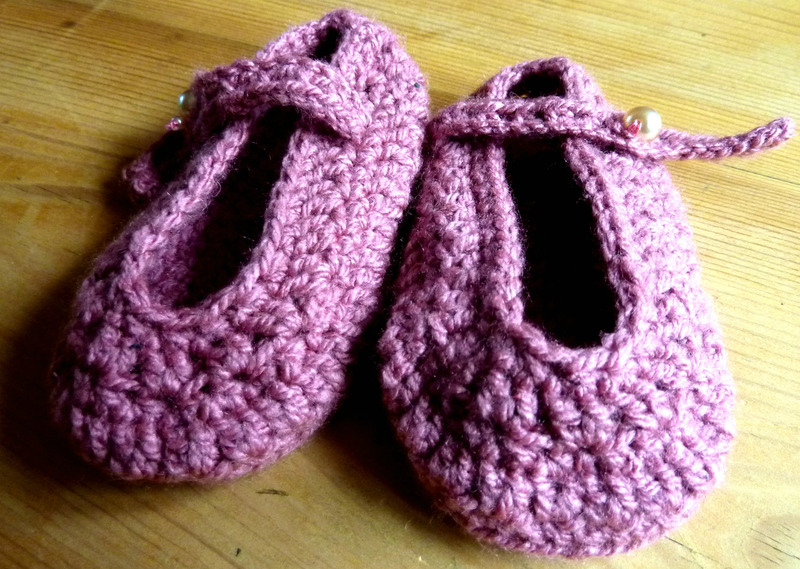 I love the yarn, I love the pattern and I love the colour. In fact it looks like I bought it from a shop. But as we all know, if I’d bought it from a shop it would have cost a LOT less money. And that’s what counts. Or something. I learned about three new cast off techniques for this one. The neckline kept coming out too tight, so I had to keep re-doing it (leaving it a little bit wibbly after the 20th attempt). I now try to only ever cast off using a crochet hook. What sane human would do it any other way, I ask you? 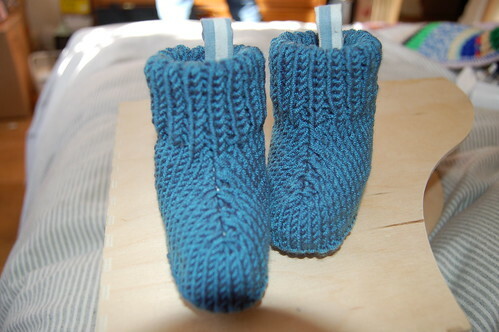 Also, I actually used the right yarn with the right pattern, which I think is only the second time I’ve done that. It’s a thrilling experience, I don’t mind telling you. 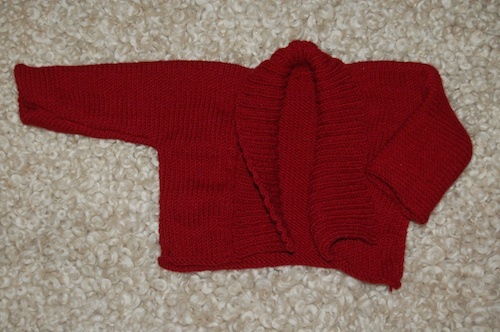 Pullover with round or v neck pattern on Ravelry. I was going to finish this off with some neat neck ties. And then I didn’t. And then winter finished. Very fun, very quick. I learned many things. 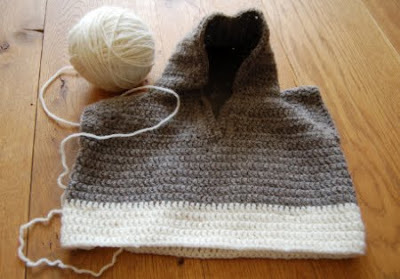 I like knitting using the magic loop method so much I want to lick it. 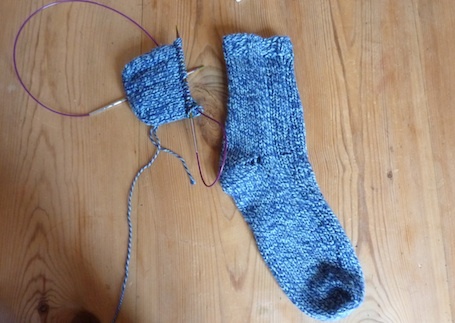 I do not like knitting two socks at once using two sets of cables or one set of cables for that matter. What faffery! I love Judy and her magic cast on. The Lifestyle toe up socks pattern will give you a lot of confidence in just winging it a bit with patterns. The short row heel is very clever, but takes practice. 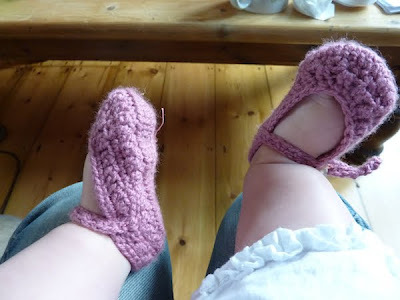 I pulled the heel a bit tighter after taking this photo. The quest for the perfect cast-off may never be over, but by golly people have turned it into a science. I love the innovation, and I loved trying out different ones. I can’t actually remember which one I used in the end though, dangnabbit. 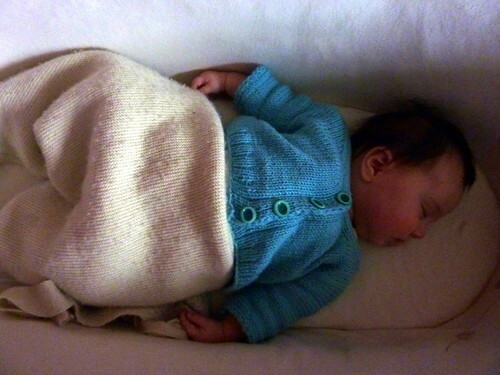 Weebleknits has an assortment of stretchy bind offs she’s helpfully herded into one blog post. I took too long to make this one. I used lovely Rooster Almerino I got from RKM Wools in a huge sale they were having (I started sweating when I walked in and saw all the lovely yarn on sale). 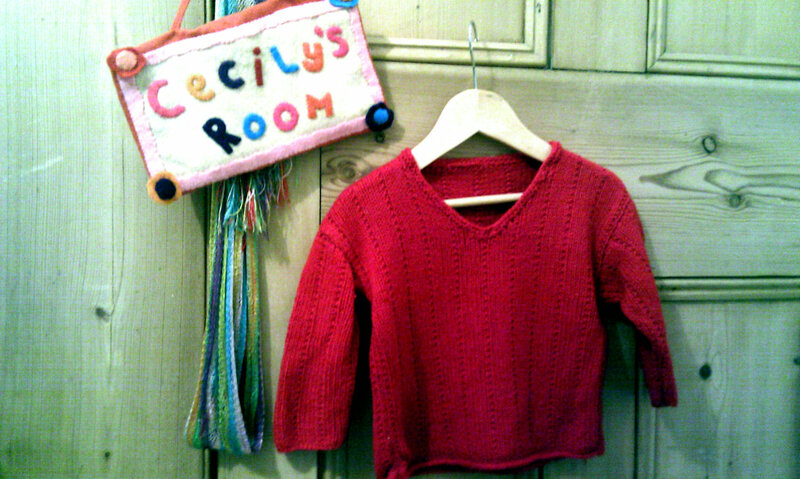 But by the time I’d finished Cecily had outgrown it. Ungrateful child. I then spent two evenings unpicking it all and getting the wool tangled up. 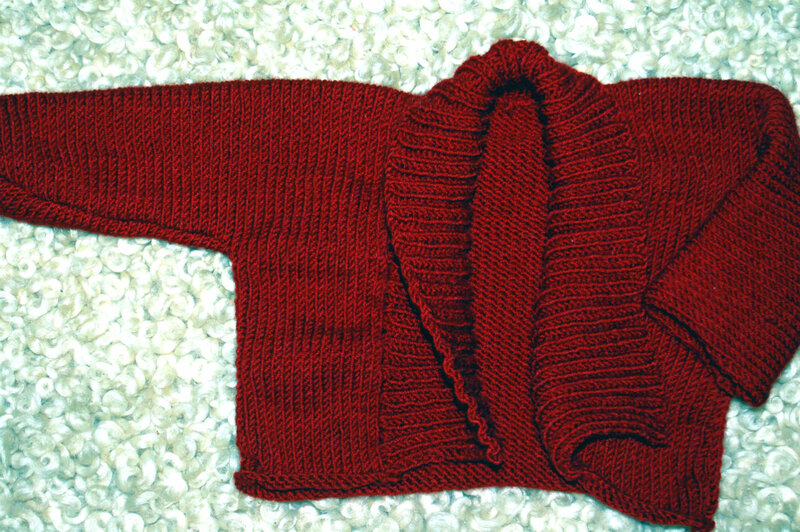 Debbie Bliss Ribbed baby jacket pattern on Ravelry. 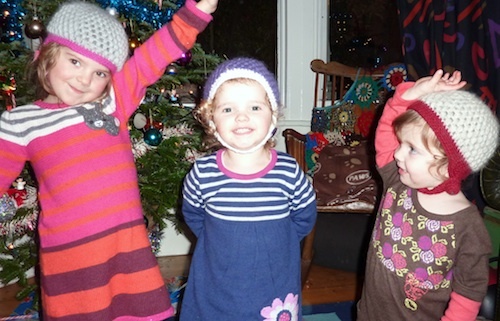 I made Cecily a lovely warm hat (using the frogged yarn from the Too-Small Cardie) and then I rushed to make two more for her two cousins who are staying with us. I finished the last one at about midnight on Christmas Eve. 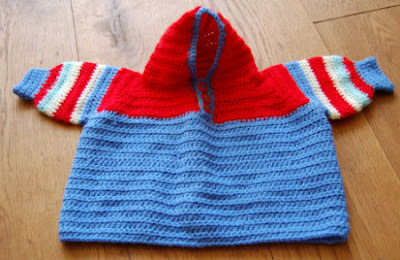 I made up the pattern based on a hat my mother made me when I was a toddler. 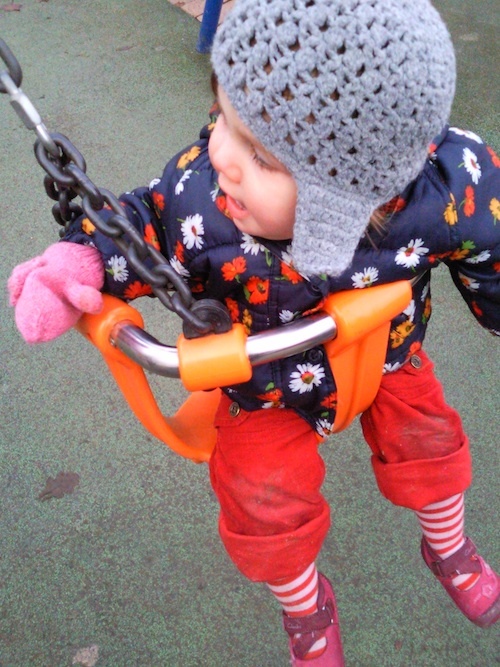 I remember loving the hat, which probably explains why I still own it all these years later. 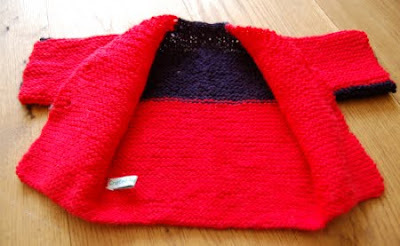 I gave all my teeth-jangling acrylics to Deadly Knitshade – so she could go and create pigeon pullovers and scarves for telephone boxes – and upgraded to real wools, bamboos and cottons. I am now one of those smug crafters whose whole lives are tinted with a “retro” filter. 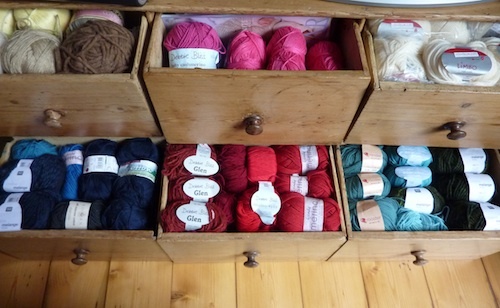 Plus, my yarn stash is now one of the most valuable things in my house. I will be the person stuffing wool into bags while the house burns down. There are a few bits and pieces still missing. 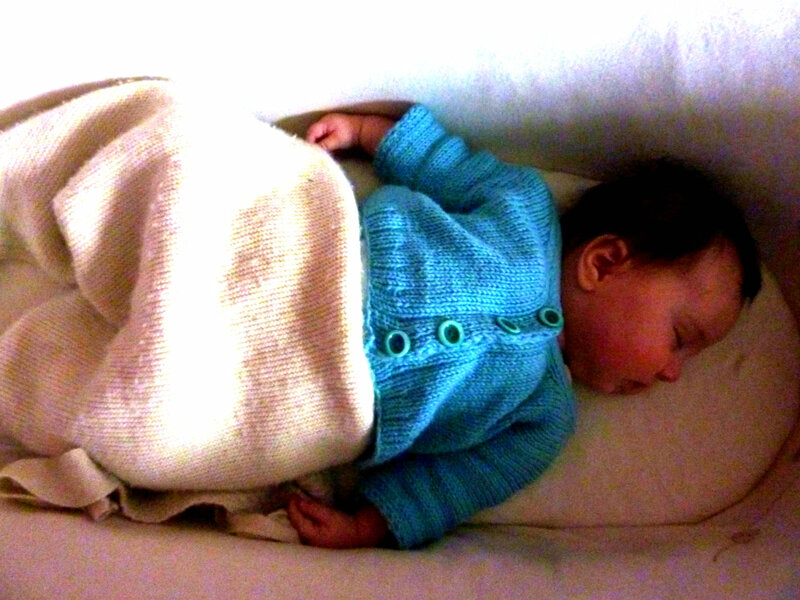 Where, for example, is the masterpiece that is the blue and pink Alpaca motif cardie? 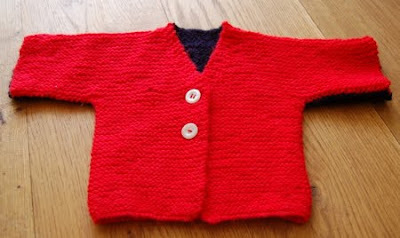 And where, pray tell, is the not-quite-enough-buttons chunky knit cardigan?